Of all the questions I get on a daily basis, the topic I hear most often refers to burning and losing more fat. It seems as though everybody is looking for ways to burn fat, lose those last ten pounds, get more cut, etc. As we know, the biggest part to burning fat comes down to your nutrition plan. I don’t care what kind of workouts you do, if you eat like crap more than likely you will look that way too. Nutrition is by far the biggest factor when it comes to burning fat, so always make sure you have a solid nutrition plan in place first. After you have your nutrition down, you can then look at other aspects to help accelerate fat burning. This is where your workouts come into play. The combination of proper nutrition and doing the right workouts are when you will start seeing the serious results. Below, I will go over three very basic but very powerful exercises and workouts that you should do when trying to burn tons of fat. Sprints are the most powerful fat burning workout on the planet, simple as that. When clients ask me what they can do to burn more fat, aside from nutrition, sprints are the first thing I tell them to do. 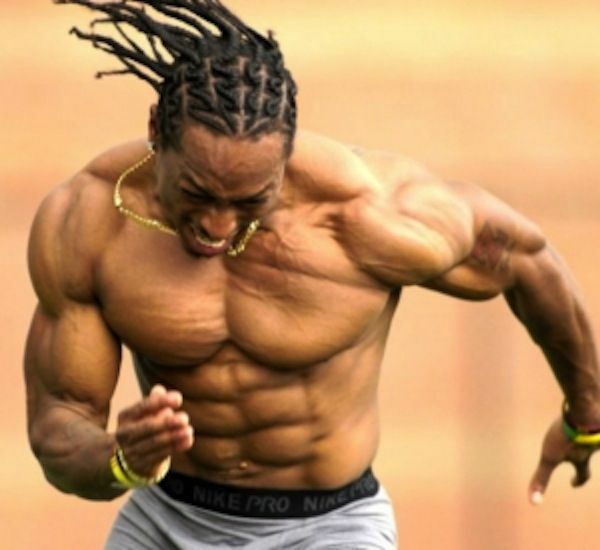 Sprints naturally produce Growth Hormone (which keeps you lean, strong, and healthy), boost testosterone (which we ALL need), fires up your metabolism, improves your insulin sensitivity, and more. Plus, you can start seeing results within weeks. Sprinting is a high intensity activity where you go as fast as you comfortably can for a short period of time, resting and repeating. Although hill sprints and sprints on a track or field will yield the best results, you can get your sprints done anywhere by following the definition above. For example, you can sprint on a bike, rowing machine, treadmill, etc. Simply going as fast as you comfortably can for 15-30 seconds, rest and repeat. In the past, we discussed 20 different benefits of kettlebell swings and why they are such a powerful exercise. Kettlebell swings can burn up to 20.2 calories per minute compared to a spin class which only burns up to 9.8 per minute. Pretty crazy right? This one movement burns more than double the calories of a spin class AND it can be done in the comfort of your own home. Not only that, but kettlebell swings boost metabolism, developed core and functional strength, can be done in a short period of time, and are very easy on the body. Tim Ferriss did a study that showed a women who did kettlebell swings 2-3 times per week for an average of 15-20 minutes per session, and lost more than 100 pounds! Kettlebell swings will not only help you lose weight, but they will burn tons of fat and aid in lean muscle growth. The swing activates nearly all the muscles in your body so no matter if you are trying to add size or lose weight, this exercise is for you. Just think for a second how many muscles you are activating when doing a burpee… You are activating just about every muscle you can think of. When it comes to burning fat, one major focus should be on activating as many muscles as possible. This is what will burn the most calories and help eliminate the unwanted fat. Burpees not only bring you a great cardio workout, but they involve strength training as well. Within a full burpee, you perform a squat, push-up, squat jump, and activate your core for the entire movement. This is an exercise everyone loves to hate, but that is how you know it is one of the best. If getting fit was easy, everyone would do it. It takes hard work to shed unwanted fat and get in shape. If you are serious about burning fat, you must get serious about you workouts and nutrition. It is not going to be easy but it is going to be worth it! As you can see from the exercises above, all of them are very high in intensity. The days of doing long slow cardio are over, it is time to step off the treadmill and start doing the kinds of workouts that will bring you the body you want. 1. Strength Training: 3 days per week. 2. Sprints: 2-3 times per week. This can be done after your strength training workouts or on a separate day. Sprint workouts should only last 10-15 minutes. 3. Kettlebell swings and Burpees: Can be added as finishers to your strength training workouts. Perform them in interval fashion and go for 8-12 minutes. As I have said, getting fit takes hard work and dedication. It will not happen overnight but adding in the exercises above will greatly help speed up your results. Be sure to leave a comment below this post, as I love hearing your feedback! Hurts, Sore, Burns. There is a BIG difference!